Tropical Colours: Be grateful for what you have. There's just something about being with my family that makes me feel all warm inside. As I took another bite of my sandwich this morning, I realised just how lucky and blessed I was. No, I'm not talking about the fact that my sandwich was the most amazing thing ever but rather that everything in life has been handed to me. And all I had to do was either go with it or reject it, it was as simple as that. I never had to work hard to get anything. Now you may be thinking, wow Karine you must be very lazy! But I assure you that I'm not talking about the work that is needed to get somewhere but instead the opportunities we get in life. So many people in the world take so many things for granted. Like a roof above our heads, a supportive family who stands by us, an education and even little things like the variety of food we get to choose from. Many people don't have that and have to work hard from a young age to be able to survive. Many people nowadays don't agree to drink water unless it is from a packed bottle while on the other side of the world, the only water some people have is muddy and carry diseases. Some families live off a few crops their whole lives and we get to have nutritional meals with labels on them. Every time I am told of the way people live in other countries, it makes me think twice about my choices. I try not to complain about what I don't have because I have way more than I already need. It is sad to think that some people go to sleep at night hungry while others refuse to eat the food that is presented to them. It is sad to think that someone who can't afford an education could be holding the answers to many cures. It is sad to think that many people in the world aren't given the chance to be someone just because they are poor. Just because you are born into a great family who is able to afford things, you have a huge advantage above those who aren't. Isn't it so twisted? Some people in this world work so hard to get to where they are today while others were just lucky enough to be born into it. The fact that I know so many people who were taken advantage of by employers just because they can't afford to lose their job is ridiculous. While some struggle to live life, others tend to try and take advantage of that to get to the top. The ugly truth is that the world revolves around money. Is this what life is really about? It does not make any sense to me. While writing this post, my eyes have filled with tears because it is frustrating and sad that the world is so unfair. I have taken so many things for granted in my life. I was spoilt as a kid and it all doesn't seem fair. 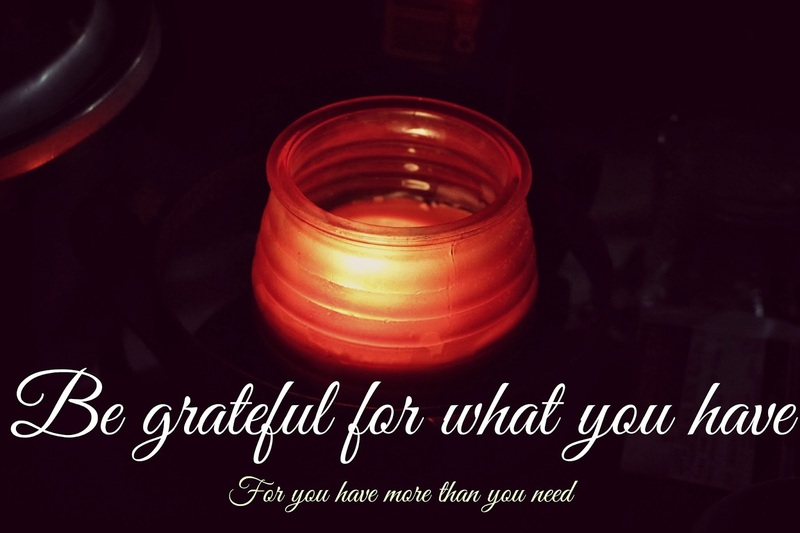 Be grateful for what you have. No matter how much or how little that may be, you have to count your blessing rather than your loses because it's all the little things in life that counts and never forget to thank god above for the great life he laid out for you. Don't let life pass you by, do something great with it. I thank you all so much for the support! I always find that frustrating too. I've definitely had friends that let their work places take advantage of them because they can't afford the risk of losing that job. Maybe one day you will be in a position to make a difference! I wish this was my night time routine! Say no to gooey nail polish!